Photos by SpinBunny ANTIQUE FARMALL 560 TractorsteemCreated with Sketch. 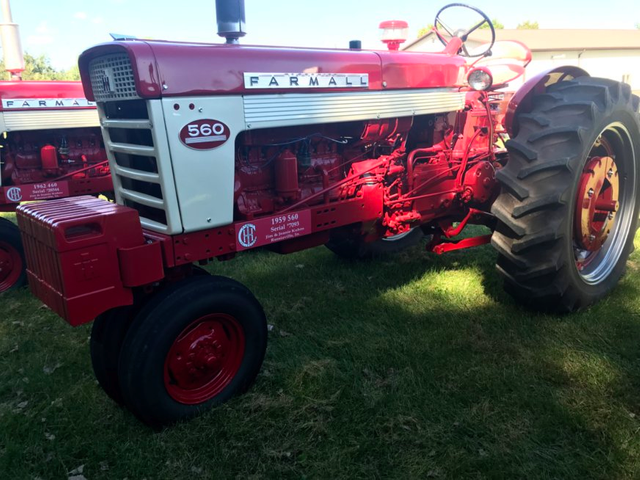 The FARMALL 560 Tractor was produced from 1958 - 1963 . This old FARMALL 560 Tractor is a two wheel rear drive with what was known as a NARROW two wheel front end. This tractor was very popular in its heyday with 65,982 built .